If you’ve ever suffered from a migraine, you know just how challenging it can be to get through your day. You know the symptoms: Throbbing pain in your head, sensitivity to light and noise, and blurry vision — to name just a few. 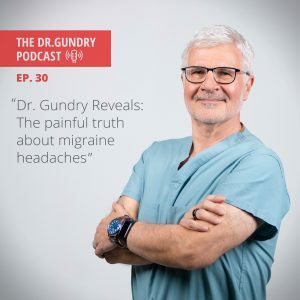 That’s why on today’s episode of the show, I’m going to talk to you about what might be causing your migraines and, more importantly, what you can do about them. You’ll hear the story of Jane, the patient who first opened my eyes to the connection between lectins and migraines, and I’ll explain the foods that could be making your headaches worse. I’ll also explains the steps you can take today to start cutting out your migraines fast. Be sure to stay tuned to the end, because I’m going to discuss a few of the foods you’ve been asking me about, like buckwheat and chia seeds. Then I’m going to share the one hobby you should avoid for better health and the one hobby that can help you live a longer, healthier life. Dr. Steven G.: 00:01 Hey there. Welcome to another exciting episode of The Dr. Gundry Podcast, the weekly podcast where I give you the tools you need to support your gut, boost your health, and live your youngest, healthiest life. 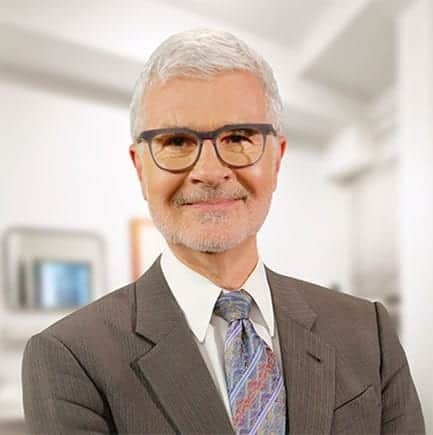 Speaker 2: 00:20 Each week, Dr. Steven Gundry, a cardiologist, medical innovator, and author of New York Times bestsellers, The Plant Paradox and The Plant Paradox Cookbook, shares the latest and cutting edge health information. He’s excited to be a part of your unique health journey, so let’s get started. Dr. Steven G.: 00:39 Before we get into this week’s episode, let’s take a look at our review of the week. [Sanson 00:00:43] at TKF writes, “Such an amazing educational podcast. Loved The Plant Paradox book and the foods have helped to heal my damaged gut. The podcast is like a continuation of the books and cookbooks as I can learn a little more each week. Dr. Gundry really truly cares about his peeps.” You know, believe it or not, it’s not a saying. I do this for you. I’ve been doing this for 19 years because of people like you who write me and tell me what a difference I’m making in your life and I’m going to keep doing it, so thank you for telling me. If you want me to read your review, make sure to rate and review The Dr. Gundry Podcast on iTunes. Welcome to The Dr. Gundry Podcast. Now on today’s show, I’m going to talk to you about something you may have experienced before, I’ve certainly experienced, my father experienced. I mean, it can blindside you, it can wreck your day, hurt your relationships. Dr. Steven G.: 01:45 I know particularly a lot of women patients that I have. This was almost a deal breaker for their marriage, for their relationship. There is something you can do about it. I really firmly believe from my own experience and certainly from a number of patients, and I’m talking about migraines. As I’ve mentioned before, I suffered from migraines for many, many years. As I tell the story, I would get migraine headaches during surgery, during infant heart transplant surgery. What are you going to do about it? The show must go on. There I would be operating with a blinding headache and quite frankly, sweat pouring off of me having to do this operation. Now, why didn’t I do anything about it? Well, my father, looking back, had migraines. We didn’t call it migraines back then, but I knew my dad suffered these debilitating headaches. Then when in my mid life about the time my father had them, I started getting them. It wasn’t until I actually stopped eating lectins that I made the connection in my own mind that, son of a gun, I don’t have migraines anymore. Isn’t that interesting? This is not an unusual problem. Dr. Steven G.: 03:18 A recent study found that one in seven Americans experiences at least one migraine a year. That’s a lot of people. It’s not as uncommon as you think. These flashing headaches, which most people think of as migraines can also have completely different manifestations. I’ve recently seen this entire cluster of, particularly in women who have what are called ocular migraines where they actually do not get headaches, but they have intense, literally blinding changes in their eyes. I have one woman who is one of my long-term patients who got to me because she actually suffered a stroke from a migraine. You’re going, wait a minute, how can that happen? Well, in some intense migraines, you can get such spasm of one of the arteries to your brain that it can actually cause a stroke. In her case, it was in the back near the occipital region, the area where you see. She, thank goodness, completely recovered, but she literally couldn’t see for several days and everybody was looking in her eyeballs and realized that what was happening was an ocular migraine. Dr. Steven G.: 04:46 In The Plant Paradox, as you know, I talk about a nurse who I called Jane, that’s not a real name. She’s now actually in her mid 50s. Jane and I actually communicate quite frankly all the time. Jane was one of the first people that really tipped me off to the lectin migraine connection. Jane has a very interesting background. She grows zucchinis and tomatoes. If any of you have listened to me or read The Plant Paradox, you know that tomatoes and zucchinis have a lot of lectins in the peels and the skins. She would put up this relish, tomato and zucchini relish and can it every fall. She loved this stuff. It was really her favorite food. She’d been on every migraine medication known to mankind and there’s a number of them, some of them work, some of them don’t, some of them are very specific. You may react to one favorably, you may react to four not favorably. Anyhow, we started looking at some of her favorite foods and jumped right out was her zucchini and tomato relish. She kind of agreed to eliminate lectins. She also quite frankly, loved steel cut oatmeal. Dr. Steven G.: 06:16 We took steel cut oatmeal away from her. Lo and behold, really, within weeks, her migraines went away. She has been migraine free for a number of years now but after about a year of this, she came back to see me and said, “You know, I feel great. I don’t have any migraines, but the deal is I really miss my zucchini and tomato relish.” I said, “Let’s do an experiment. When you can this fall, can some your traditional way and then can some using a pressure cooker.” Sure enough, that’s exactly what she did. She had some of her zucchini tomato relish that she would can normally, and boom, she got a migraine within minutes. She actually called me and she said, “Yup, there it is.” I said, “Okay, so let’s give it a couple of days and let’s try your pressure cooked.” Sure enough, the pressure cooking killed the lectins and she’s now able to have her dearly beloved tomato and zucchini relish. Okay. That’s great news. Now she says, “Oh, good, pressure cooking is the answer.” She then wanted her oatmeal back. Dr. Steven G.: 07:43 It was actually Jane who discovered that even after an hour of cooking steel cut oats in a pressure cooker, she would still get migraine headaches to her pressure cooked oats. There’s actually a obscure paper that shows that gluten is very, very, very difficult to break with a pressure cooker, that particular protein is so resistant to heat and pressure degradation that probably Jane was absolutely right. She couldn’t destroy the gluten like protein in oats. That’s an important point. You will see advertisements that these oats are gluten-free, but I can assure you that there are multiple proteins in oats that mimic gluten just like there are multiple other proteins in other lectin-containing grains like buckwheat, like corn, like amaranth that will absolutely mimic gluten. Recently, we’ve been a lot of corn testing in people who are gluten-free but still have celiac disease. About 90% of people who are genuinely gluten-free, when we test them against corn, they actually have a cross reaction between corn proteins, corn lectins and the gluten protein. Dr. Steven G.: 09:20 Just be aware like I talk about in the book, gluten-free does not mean the lectin free. Gluten is just a minimal lectin. Okay. That was the enlightenment about Jane. I can tell you personally and from Jane’s standpoint, lectins were a big piece of this. Now, how can that be? I think a little background information about what lectins do and how the heck they can get to the brain is, it’s probably well worth us understanding that. You know I talk a great deal about the gut brain access and that access actually works in two ways. I’m going to talk a lot more about that in the upcoming book, The Longevity Paradox, which will be out March 19th. That bugs in our gut, number one, communicate to our brain in two ways. They send hormonal signals to our brain via hormones like feel-good hormones like serotonin, like tryptophan, like GABA that they produce. There’s a second way that the gut communicates with the brain and it’s like a buried cable, that’s the vagus nerve. You’ve heard me talk about the vagus nerve and I write about it in The Plant Paradox and you’ll hear a lot more about it in The Longevity Paradox. Dr. Steven G.: 10:50 For years, we were taught that the vagus nerve is the way the brain, this brain, communicates to the organs in our chest and in our belly, that it’s primarily a one way street for the brain to talk to the heart, to the lungs, to the esophagus, to the stomach, even to the kidneys about what the brain wants them to do. It’s called the sympathetic nervous system. Now, lo and behold, we now know that for every one fiber from the brain down to the gut, there’s actually nine fibers going from the gut up to the brain. Rather than a brain down communication, this is a gut up communication. Fascinatingly, there are more neurons in the wall of the gut and in your belly and actually around your heart than there are in your entire spinal cord, which is a big hunk of neurons. What are those guys doing down there? Well, they’re there and they’re often called the second brain to tell the brain, this guy, which I like to think of the second brain, what’s going on down in your gut. It’s a second system of the microbiome communicating to your brain. Why is that important? Dr. Steven G.: 12:24 Well, like I said in The Plant Paradox, there’s very interesting study that back in the good old days when I was a general surgeon, we would do an ulcer operation which was the only thing we could do in those days before the days of ulcer medications, was we would go down in the belly and we would cut the vagus nerve in half. Lo and behold, it was actually quite effective in stopping ulcers. There are lots of variations on the theme, but a large number of people in the 50s, 60s, 70s and actually early 80s had this vagotomy as they were called as the treatment for ulcer. What happened in the interim is we know that people who had a vagotomy had their vagus nerve cut have about a 50% less chance of getting Parkinson’s than people who have their vagus nerve intact. One of the papers that I described in The Plant Paradox showed that lectins can actually climb the vagus nerve from the gut and go to part of the brain which controls movement which is the substantia nigra. Dr. Steven G.: 15:15 We now know that there is an absolute direct route from the gut to the brain that lectins travel on, not only to cause their own problem, which is irritation and inflammation, but also, which is now the scariest thing, to bring pesticides and herbicides and biocides which are everywhere also into our brain. I think it’s no wonder that so many people suffer from migraines and migraines seem to be getting worse rather than better. One of the things that you can do immediately is to follow some of my recommendations in The Plant Paradox. What do you do? How do you do that? First of all, the main lectins that seem to be troublesome are most of the grain-based lectins including the healthy ones like quinoa, that’s a no no. Millet and sorghum do not have lectins because they do not have a hull. Somebody recently wrote in and said, what about buckwheat? As I mentioned before, I really wanted buckwheat to be okay because I wanted everybody to have buckwheat noodles and man, that would be a great alternative for pasta. Dr. Steven G.: 16:47 Unfortunately, buckwheat has a major lectin just like quinoa, but you can pressure cook these, but you can’t pressure cook wheat, rye, barley and oats. As Jane found out, it just will not work for most people. I’ve had other people try and have the same effect. Now, beans, beans raw are pretty lethal containing lectins. If you pressure cook beans, you most of the time will destroy the lectins. Although, I see a number of patients that even pressure cooked beans bother them. I’ve actually had a lot of my patients, including me, double pressure cook beans. As you’ll learn in The Longevity Paradox, the Adventist, and remember I was professor at Loma Linda, the only Blue Zone in America for many, many years. The Adventists’ main source of protein is TVP, texturized vegetable protein, which can be made into any mystery meat known to mankind. We had a Spam lookalike called wham. TVP is defatted soy meal that is extruded under high pressure and high heat. The main protein source in the Adventist diet, interestingly enough, is pressure cooked and extruded soybeans. I think that’s not without, you know, chance. Dr. Steven G.: 18:26 I think the Adventist found out that beans had to be detoxified and that’s how they did it. Traditional cultures soak beans, change the water every few hours, do it for one, two, three days, and then they cook the beans for an extended period. It is absolutely true that soaking will remove lectins, they will dilute them out. When we look at traditional cultures, they’ve always used methods to get these lectins out of these troublesome things. As many of you know, I study the Italian cooking, the French cooking. The Italians in cooking always peel and deseed their tomatoes. They always peel and deseed their peppers. The Southwest American Indians whose native food was peppers always roasted the pepper, peeled it and deseeded did it before they ate it or made it into chili powder. Interestingly enough, the American Indians always treated corn with lye before they ate it. Made it into posole. One of the big mistakes that Italians made when Columbus first brought corn back from the America is that he actually didn’t learn. Dr. Steven G.: 19:51 You had to treat corn with lye to detoxify it from lectins and also to stop corn from binding an essential B vitamin called niacin. You’ll learn more about that in The Longevity Paradox. Long story short, keep major lectin-containing foods out of your diet. That includes the nightshades, that includes the American families like peanuts and cashews, which are beans. They’re not nuts. I have multiple very sensitive people, Canaries, who react to chia seeds. I have one that was so excited when a particular brand of chips that I recommend, they’re tortillas, came out with a chip and this chip unfortunately has chia seeds. Now, I don’t react to those chia seeds in that chip, but I now have three women with multiple allergies, good Canaries, who were so excited when those chips came out and all three of them reacted actually fairly violently to the chia seeds in the chip. There’s no human need for chia seeds, believe me. Okay. Get rid of lectins. Second, we as you probably know, have a sleep deprivation epidemic in this country for multiple reasons. Dr. Steven G.: 21:20 If you didn’t see Arianna Huffington on my podcast, please pull that up. Arianna is a poster child for sleep deprivation. In building the Huffington Post, she thought she was one of these people who could go without sleep and only needed three hours of sleep, four hours of sleep at night for maximum performance and efficiency. It wasn’t until she literally collapsed at work, broke her cheek, had to have an operation, that she realized she was not invincible. She spent the last number of years researching, finding the world’s experts on sleep and spending her years now teaching the importance of sleep. It’s interesting, most of my migraines occurred when I would fly to parts unknown in the United States or Canada. It usually [inaudible 00:22:25] finding barbecue or crazy things and eating it on the plane back. Most of my migraines occurred without sleep that night and usually eating food that I have no business to eat. Looking back, and well, of course I didn’t have any sleep and I was eating really bad food, of course, I get a migraine. Dr. Steven G.: 22:45 Sleep really set you up for your brain being damaged. Your brain actually has to be washed out. It has to go through a washing cycle every night. You’ll learn about how essential that washing cycle is to get all these inflammatory compounds, all of these lectins out of your brain. If you don’t do that, and if you don’t do that systematically, we now know that that lack of washing is one of the big things that leads to neuroinflammation. Neuroinflammation is one of the big driving factors in all of our memory loss diseases, whether it’s Parkinson’s, whether it’s Alzheimer’s, whether it’s vascular dementia. Now, speaking of vascular, it turns out as you learned in The Plant Paradox that there are sugar molecules on the linings of our blood vessels that lectins attach to. I recently gave a paper at the American Heart Association I think proving, well at least suggesting that lectins attaching to our blood vessels is a major cause of vascular disease, of heart disease, of stroke, of hardening of the arteries. Dr. Steven G.: 24:09 We were able to show by removing lectins from over 400 people’s diets that we could actually show blood vessels getting more flexible, more reactive, and with less inflammation on the blood vessel. In the theory that migraines are a blood vessel issue of dilatation or constriction, getting a known irritant, lectins, out of your diet makes a whole lot of sense to me. Now I mentioned pesticides, we our ramped with pesticides. Interesting, years ago I interviewed a horticulturist and organic gardener who said one of the biggest contributions to memory loss and Parkinson’s that he sees in our elderly community is in golfers. He elaborated on the number of pesticides and herbicides that are sprayed on our golf courses to beautify them and how these, as you walk the golf course or drive the golf course are aerosolized into you. Interestingly enough, one of the direct entrances, the closest entrance to your brain is via your nostrils, your nose. You then ingest those, you breathe them in, they hop a ride on lectins into your brain. It was a real eye-opener. Dr. Steven G.: 25:54 The vast amount of Parkinson’s and mild cognitive impairment dementia that we see rapidly going up in our elderly, particularly in a community like Palm Springs where we have 115 golf courses at last count. Maybe the sprays that we’re using to keep our golf courses beautiful. What can you do at home? Please, please, please do not spray with roundup. Roundup is glyphosate and Roundup gets into you. As you’ll see in The Longevity Paradox, 95% of pregnant women excrete Roundup in their urine. Almost all of us have huge amounts of Roundup in us. One of the places we acquire it is in our homes. Every time you see that commercial with the guy with the Roundup gun killing weeds, remember that you can actually dig out weeds by hand, you’ll actually get exercise. One of the things that’s amazing about super old people in the blue zones around the world is that almost all of these communities, number one, live in hilly villages. They walk up and down hills. Almost all of these super old people garden. They weed their garden by hand. They don’t spray Roundup. Dr. Steven G.: 27:26 We talked about on one of our earlier podcast about doing an exercise that you like and gardening is one of the great exercises of super old people. Gardening’s a lot of fun. Okay, blue light. You’ve heard me talk about this over and over and over again. Blue light is really disrupting our sleep. Blue light disrupts our eating patterns. Blue light stimulates you, me, to be hungry because long ago we would eat during the summer when light was intense and long because that’s when most of the food was available and certainly that’s when the fruit was available. Fruit is intense calories to store as fat. Blue light stimulates us to eat. It also stimulates us to stay awake because quite honestly, the longer we could have stayed awake eating in the summer, the better off we would have been in the winter. Blue light now is everywhere. It’s in our TVs, it’s in our computer screens, it’s in our phones. There is an app on almost every device now to turn it to non blue light at sundown and sunset. Dr. Steven G.: 28:49 If you’re going to watch TV and I know you will, just buy yourself a pair of blue blocker sunglasses and like I said before, get the ones that make you look like Bono. I mean, they’re really hip. We’ve done a podcast before with a gentleman who it was nighttime in Europe and he was wearing his Bono blue blocker sunglasses and then he was going back to bed. There’s even lights that you can use in your bedroom, in the nursery, that will not excrete blue light. Moms out there with newborn babies, one of the things that’s destroying your sleep is not the baby crying at night, there’s no fix for that yet, but turning on a light either in your bedroom or in the baby’s room to change the bedroom and that automatically sets you to wake up and be awake for a long time. Do yourself a favor, get these lights, they’re at any hardware store and you’ll do yourself a favor. Last, artificial sweeteners, please, please, please do not kill your gut microbiome with artificial sweeteners. Dr. Steven G.: 30:02 Duke University showed a packet of Splenda kills off 50% of the gut microbiome, one packet. Sucralose. Your microbiome is one of your major defense systems against lectins and one of the reasons we’re having an epidemic of people being sensitive to lectins when they weren’t a hundred years ago is we’ve done in our microbiome with artificial sweeteners, with the antibiotics that we take, and the antibiotics that are fed to our animals that we then eat. Do yourself a favor, ditch the artificial sweeteners. There’s plenty of options out there like Stevia and Monk Fruit, Inulin, just to name three. Okay. We got question from our audience before we sign off. Actually, this is a great question. Lee asked. “I know white wine is off limits, but are there any types of red wine we shouldn’t drink?” I recently did a video about proper wine etiquette, how much you can have and which ones are useful, but here’s the deal. There are a number of people that do react with headaches to the tannins in red wines and often it’s specific tannins in red wine. Dr. Steven G.: 31:29 My uncle who recently celebrated his 92nd birthday, hello, uncle Leo. Sailing his boat to Caribbean single-handedly, reacts to red wine. He cannot have red wine. Interestingly, I can spot certain pinot noirs that will give me a headache the following morning, but other pinot noirs won’t. I won’t tell you which ones I react to because I’m doing an ongoing study. You know, always looking out for you. In general though, if you are a person prone to migraine headaches, do be careful that red wine and the tannins in red wine may be one of your tippers. My wife would tell you that champagne is perfectly safe. There is a French study that shows that women who drink champagne have much less dementia than women who don’t drink champagne because of the polyphenol content but if you don’t drink, don’t start. Rule number one. Okay. That’s it for Dr. Gundry’s Podcast. Try these tricks for migraines. I think you’re going to be surprised. By the way, if you do suffer from migraines and this does relieve it, please don’t run the experiment and cheat because I can tell you personally, you will trigger migraine. Jane, my nurse will guarantee you will trigger a migraine. Dr. Steven G.: 33:04 That’s it for today. Thanks for watching The Dr. Gundry Podcast. We’ll see you next time because I’m Dr. Gundry and I’m always looking out for you. Exciting news, my friends, my new book, The Longevity Paradox is out now. Like The Plant Paradox, this will be a game-changer in helping you live a long vital life. Pick up your copy now at your local bookstore, Barnes & Noble or Amazon, or my audio book, which I actually recorded this time. Make sure you tell your friends and family about it. For more information about this week’s episode, please take a look at my show notes below and on drgundry.com. In the show notes, you’ll also find a survey and I’d love to find out more about you. Please take a few minutes to fill it out so I can do my best to provide information you’re looking for. Thanks for listening to this week’s episode of The Dr. Gundry Podcast. Check back next week for another exciting episode and make sure to subscribe, rate and review to stay up to date with the latest episodes. Head to drgundry.com for show notes and more information. Until next time, I’m Dr. Gundry and I’m always looking out for you. Very much enjoy your podcasts. I use several of your supplements including prebiothrive, primal plants, vital reds as well as your probiotics. I am wondering if I am using the prebo thrive do I need the probiotic along with all of the above supplements? Both are vegan and again have a base of pea protein. I’m wondering if you are familiar with these products and if they they would be allowable on the PP. If not, which of your products would be comparable to support. I previously asked and you answered (on your podcast) the question about Diverticulitis as I get bouts of it and have Diverticulosis. The treatment he has provided is to help with nutrient absorption and lower my gut irritation. At times I’ve shared with him, my internist and gastroenterologist I get what I believe is colitis flare ups that at times may present in feeling as Diverticulitis. Ultra Flora Integrity (1 pill 1X/day) – I’ve not had good luck tolerating probiotics so he put me on the lowest one. When I had my colonoscopy he added in the Acute Probiotic, same company. That was tolerable. Not sure if I should be taking more. I appreciate your consideration of my questions, thank you.